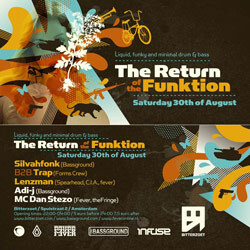 Funktion is back at the Bitterzoet on the 30th of August. 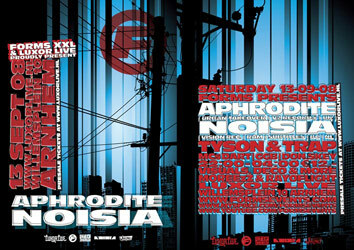 The first 2 parties 2 years ago were amazing, so i'm really looking forward to this one. I'll be playing a 2 hour b2b set with Silvahfonk, and Adi-J and Lenzman will be playing. I can use my both hands again! It's still a bit rusty, but getting better every day.